The California League is a Minor League Baseball league which operates throughout California. it is classified at the Class A-Advanced, three steps below Major League Baseball. Most players reach this level in their third or fourth year of professional play. All of the current teams are playing in stadiums that have been built or extensively renovated since 1990. League attendance continues to increase each season, with over one million fans attending games per year, part of a general nationwide growth and expansion to smaller towns, cities and regions below those in the National League or American League with minor league baseball at various levels of play in growing popularity in the last few decades. The League is divided into a Northern Division and a Southern Division. The California League will contract from ten to eight teams in the 2017 season as the Bakersfield Blaze and the High Desert Mavericks will cease operations. There were various attempts in the late 1800s and early 1900s to form a "California League" on the West Coast, considering the distance of the two current major leagues which generally had teams only in the Northeast and were restricted at first until World War I by long distance train travel. The first organized California League lasted from 1887–1889, then another followed in 1891, and 1893, and finally in 1899–1902. After the National Association of Professional Baseball Leagues, an organization of minor leagues was formed in 1902, (following the "truce" and agreements between the older National League of 1876 and the newly "upstart" American League of 1901), the California League operated outside the NAPBL system as an independent league in 1902 and again from 1907–1909. This led to huge differences in the quality of teams competing with each other. In 1907, the San Francisco team was 3-34, while later in 1908 San Francisco was 9-67 and Oakland was 4-71. Oakland and San Francisco competed in every year of these various state leagues, with San Francisco having two teams during 1887-88. The current California League was founded in 1941, and included teams in Anaheim, Bakersfield, Fresno, Merced, Riverside, San Bernardino, Santa Barbara, and Stockton. The following year, as a result of World War II, the league dropped to four teams, then ceased and suspended operations altogether, although major league baseball and some minor leagues continued as much as possible with limited availability of players during the war years. It reorganized and came back in 1946, adding teams in Visalia, San Jose, and Ventura by 1947. 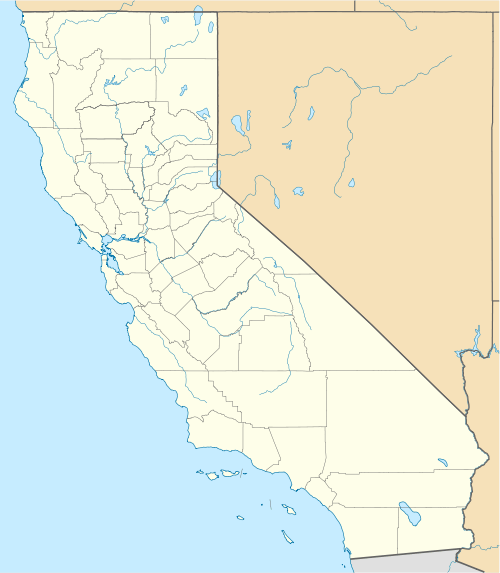 Further east, Reno, Nevada joined the league in 1955 with the movement of the old Channel Cities Oilers in Santa Barbara and continued as a member for 37 years. Anaheim Aces (1941), folded by onset of World War II, one of six minor league baseball teams in Orange County, California from 1901 to 1955. Bakersfield Bears in 1957–67 (under affiliations with the Chicago Cubs, Cleveland Indians, Los Angeles Dodgers and Milwaukee Braves). Central Valley Rockies see Visalia Oaks. Fresno Cardinals (1941–42), folded by onset of World War II. Inland Empire 66ers (1941–42, 1946–present, as Fresno Cardinals in 1941–42, 1946–56; as Fresno Sun Sox in 1957; as Fresno Giants in 1958–87; as Fresno Suns in 1988; as Salinas Spurs in 1989–92; as San Bernardino Spirit in 1993–95; as San Bernardino Stampede in 1996–02 under affiliations with the Los Angeles Dodgers and Seattle Mariners). Lake Elsinore Storm (1979–present, as Santa Clara Padres in 1979; as Redwood Pioneers in 1980–85; as Palm Springs Angels in 1986–93). Lancaster JetHawks (1966–present, as Reno Silver Sox in 1966–81; as Reno Padres in 1982–87; as Reno Silver Sox under affiliation with the Chicago White Sox in 1988–92; as Riverside Pilots under affiliation with the Seattle Mariners in 1993–95; and played some games in Palm Springs). Las Vegas Wranglers (1947–58, as San Jose Red Sox in 1947–55; as San Jose JoSox in 1956–57; as San Jose Pirates in 1958; moved to Salinas in mid-season 1958 and Las Vegas during 1959 season). Merced Bears (1941), folded by onset of World War II, no California League team there ever since. Modesto Colts (1946–64, as Modesto Reds in 1946–61), folded by 1962. Oakland Oaks (1941, moved to Visalia as a result of World War II 1942–45); Oakland became a Pacific Coast League city, while Visalia Oaks folded by 1944. Palm Springs Angels (1985–93) before relocation to Lake Elsinore in 1994. Palm Springs was the former spring training camp for the then-California Angels from 1961 to 1993. Palm Springs held other minor league and collegiate teams in the 1990s and 2000s. Rancho Cucamonga Quakes (1966–present, as Lodi Crushers under affiliation with the San Francisco Giants in 1966–69; as Lodi Padres in 1970–71; as Lodi Orioles in 1972; as Lodi Lions in 1973; as Lodi Orions 1974–75 all under affiliation with the Baltimore Orioles; as Lodi Dodgers in 1976–83; as Lodi Crushers under affiliation with the Seattle Mariners in 1984; as Ventura County Gulls in 1986; as San Bernardino Spirit in 1987–92) but another team with the name appeared. Reno Silver Sox (1947–64, as Ventura Yankees in 1947–49; as Ventura Braves in 1950–52; as Ventura Oilers in 1953; as Channel Cities Oilers under affiliation with the Milwaukee Braves in 1954–55; moved to Reno during 1955 season; as Reno Oilers in 1955; became Reno Silver Sox during 1955 season) to become Kansas City/Oakland A's and Minnesota Twins affiliate in 1961 to 1969. Riverside Reds (1941), when the city was the spring training camp for the Cincinnati Reds until the outbreak of World War II. Salinas Packers (1941–42, 1946–1958, as Santa Barbara Saints in 1941–42; as Santa Barbara Dodgers in 1946–53). Salinas Indians (1946–65, as Visalia Cubs in 1946–56; as Visalia Redlegs in 1957–59; as Visalia A's in 1960–61; as Visalia White Sox in 1962, as Salinas Mets in 1963–64). San Bernardino Stars (1941) folded by onset of World War II. San Jose Missions (1979–1981) (Pacific Coast League 1977–1978). San Jose Bees (1962–1976) under affiliation of the Oakland A's, Kansas City Royals, Milwaukee Brewers and Seattle Mariners. San Jose Bees (1983–1987), two team: one under affiliation of the Baltimore Orioles, and the former Fresno team affiliated by the San Francisco Giants. San Jose Pirates (1958) relocated to Salinas in mid-season and to Las Vegas in 1959. San Jose Red Sox (1947–1955), *San Jose JoSox (1956–1957) under affiliation with the Boston Red Sox. San Jose Owls (1942), folded in mid-season. Stockton Flyers (1941), merged with the Anaheim Aces as both teams folded by onset of World War II. Ventura County Gulls (1985–86) under the Mariners and later Blue Jays. Visalia Mets (1962–75, as Santa Barbara Rancheros in 1962–63; as Santa Barbara Dodgers in 1964–67) before relocation to Bakersfield. Visalia Rawhide (1946–1962, 1968–1975, 1977–present), (1946–1952 & 1954–56 as Visalia Cubs, 1953 as Visalia Stars, 1957–59 as Visalia Redlegs, 1960–61 as Visalia A's, 1962 as Visalia White Sox, 1968–75 as Visalia Mets, 1978–1992 & 1995–2008 as Visalia Oaks, Central Valley Rockies in 1993–94) while playing half of their games in Fresno. The Los Angeles area, Riverside, San Bernardino, Palm Springs, Yuma (AZ) and Las Vegas (NV) were also major league spring training site cities, as well possessed California League teams on different occasions. Modesto has hosted a California League team longer than any other city, hosting a team in all but two of the CL's 65 seasons. In 2016, the California League announced the establishment of a league Hall of Fame. There were 15 inductees in 2016. ↑ "California League (Adv A) Encyclopedia and History".